No this isn’t an outtake from cakewrecks.com (please check out this site if you haven’t already), but the totally delish King Cake from Alliance Bakery my very generous co-worker brought to the office yesterday. 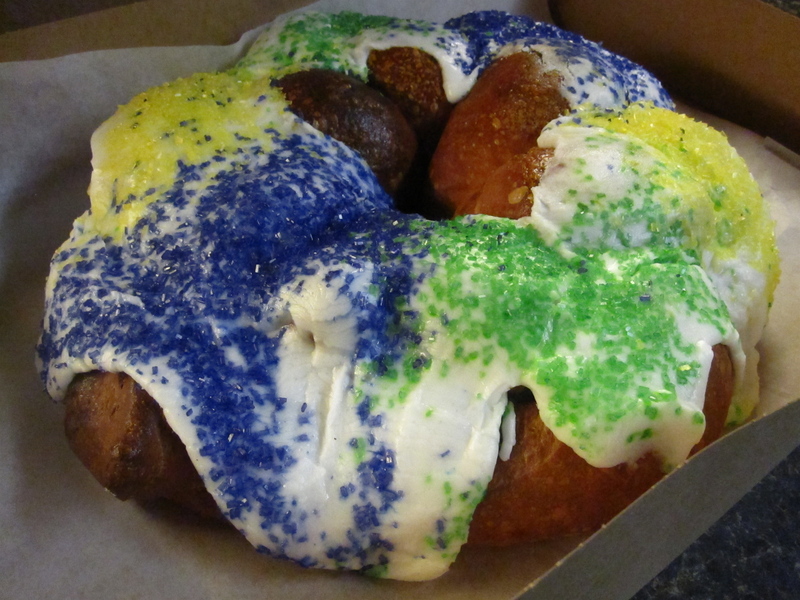 Although there are many versions, this one was kind of a flaky almost raisin sweet roll topped with vanilla frosting in all the right Mardi Gras colors. The plastic baby hidden inside almost fell victim to the knife as I was cutting, but was spared just in time. Either way, I’m glad I snapped this photo when I did, as this festive round loaf of goodness didn’t stick around long. Alliance Bakery & Cafe, 1736 W. Division Street.